Understanding which Park City bus to take can be confusing. For those who ride the same bus every day, it probably seems simple. However, for those of us taking different routes, once or twice a week, it can be hard. What do the bus colors mean? What is inbound versus outbound? How do I know when the next bus will come? What if I miss it? How will I get back from wherever I’m going. It’s harde than it seems. 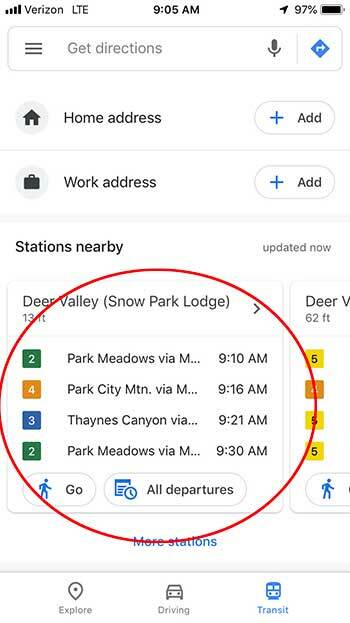 For the last couple of years, the best tool to navigate the buses was an app called My Stop Mobile (recommended by Park City and Summit County). It would show you routes, buses, and stops. It probably took me six months to figure out how to use the app effectively. Unfortunately, recently the app seems to be providing shoddy results. Often it won’t tell you when the next bus is coming. It won’t show you where buses are anymore. It will tell you no bus is scheduled today for the bus stop you are waiting at. It is confusing. 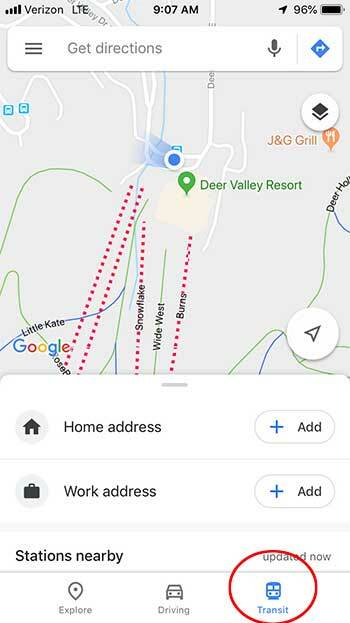 On Sunday morning, while trying to get back from Deer Valley, I gave up on My Stop Mobile and tried Google Maps and it was brilliant. It showed me the bus stop closest to me. It then showed me all the colors of buses and in how many minutes the bus would arrive. If I wanted to know where the bus was going, I could click on the bus and it showed all the stops. It was easy. If you’ve had trouble navigating the bus or haven’t ridden because you’re not sure how it works, I’d give Google Maps a try. You’ll want to make sure you have installed the newest version of the app. After launching the app, click on transit at the bottom of the app. Then you’ll want to scroll down and show the Stations Nearby (It’s at the bottom of the screen). You should see the closest stations. It’s not perfect, because you still need to translate what the “official stop” names mean, but it’s generally easy to deduce where a stop is located. So, it becomes much easier to figure out when the bus will come and which to ride. 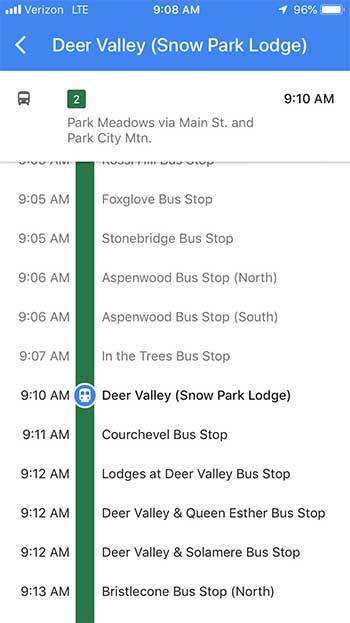 Google has made it much easier to use Park City Transit. Currently, I believe it is the preferred method of using the service. If you give it a try, let me know how it works for you. Likewise, if you have any questions, let me know. I’m happy to help.